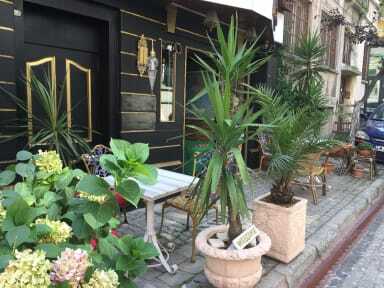 Set in Istanbul's Sultanahmet district, Avrasya Hostel offers budget rooms with free Wi-Fi just 150 metres from Hagia Sophia and The Blue Mosque. It offers a restaurant and a bar with a rooftop terrace. The air-conditioned rooms at Avrasya Hostel are fitted with wooden floors and feature carpets with colourful drawings. The dormitories have shared en-suite bathrooms. Safety boxes are available at the reception. Avrasya Hostel's 24-hour reception staff can arrange shuttle services to Atatürk International Airport, 14 km away. They can also organise daily city tours and tours to historic sites. The hostel is wonderful, and the staff is too! Really clean, with very good beds, a great terrace which is a great point to meet people and chat, at a perfect location and an amazing price! It's certainly the place I will search again when I come back to Istanbul, this fantastic, vibrant city!! The hostel is really well located and in such a secure area, what was very important to me. The staff is very very very friendly and helped me with everything! I also have made lovely friends in the hostel and had dinner with the staff! I would recommend and come back for sure! Istambul is incredible and Avrasya made my stay there much better! Muito bem localizado, Staff excelente e perto de bares e restaurantes que na Turquia são baratos, além de ser em uma rua super tranquila. Amazing hostel :-) Maybe less than 70m from Blue Mosque :o A lot of restaurants just one square down. The staf was AMAZING and friendly. Fatih the best guy and tell a lot of things about turkey culture. The breakfast it's nice on terrace a cool atmosphere... Thank you, for everything. I truly miss this. The sunrise on terrace it's STUNNING. Muito próximo aos principais pontos turísticos, da para fazer tudo a pé. Ambiente ótimo, pessoal do hostel super prestativo, banho quente, tomadas próximo a cama, Wi-Fi funcionando em todos os cômodos. Amei. I had the best time in Avrasya hostel, the location is very good, beds are confortable, bathroom is clean and the crew is awesome, everybody is very helpful and very kind. I would totally stay there again and recommend to other travelers! Esse Hostel é incrível. Muito bem localizado, com ótima recepção e um café da manhã simples, porém gostoso! O quarto é muito confortável e o WIFI funciona muito bem. O dono do hostel está sempre disposto a ajudar e dar dicas para fazer sua viagem melhor. Espero voltar nele um dia! Nice people working there, make you feel like home. I ll be back, I m sure. All the staff is great! O hostel fica bem localizado, a 5 minutos de Mesquita Azul e Santa Sofia. O staff é muito simpático e solícito, especialmente Abdul, que está sempre interessado em tornar a estadia o mais agradável possível! O quarto (fiquei no dormitório de 12 camas) é confortável, o banheiro é espaçoso e limpo (mas bem gelado). O único porém é que a cozinha não é aberta para os hóspedes - mas isso não é incomum nos hostels ao redor. Achei o custo-benefício bastante válido!